Relocating back to your hometown is never an easy task. In the time you depart, you will think that bit is easy and that you may go back for a visit but some us us go back to live as it is our real home. The home where you grew up and had friends or friends that still reside there. This in fact is nothing to feel sorry about, as you will be back and your friends cannot wait to see you once again. This all doesn’t mean you failed of course not as there is no better place then home. You tried to give it a go in another place but it just didn’t work out as you planned. Now it’s time to get moving and pack your bags and head home where you are familiar with and your home town. Here you will gets some valuable insights on how to do the move successfully and from movers near me to help you successfully do this move back to that hometown. The relocating back to your old hometown has never been so smooth in these days. Some may be concerned and say things that and give their comments to others of why your are moving back.This is common among us all. The real reason why you are coming back to your town where you grew up in and had roots are for various reasons maybe for retirement or to be closer to your family or you just have missed the home stomping grounds. For a good example, you may be moving from a large city back to the country life that you enjoyed years before with less traffic and a smaller population or the other way around. That relocation back to that hometown just means that you missed it that life style. Packing and getting ready for that move back to your hometown you first need a packing plan go to our moving and packing tips pages for help in how to pack for this move. You might be moving there temporarily or permanent however, most people whom are moving back to their hometown are moving back as their final move. 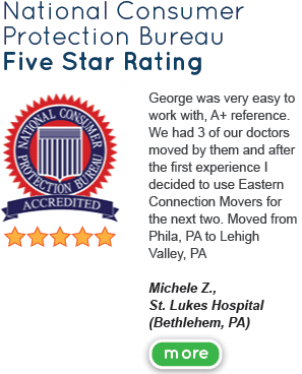 Our information and our website is very helpful in your relocation. As you age the much less reasons you would like any living in a big city. Many reason why you are moving back to your hometown. * Your family is there. Retiring to the town that we grew up in is the best choice for a lot of us and for many we have a lot of stories to tell about the life that we had as growing up for example. Retiring is the place in your life where you get to enjoy the fruits of your labor over the years. You don’t have a job to interfere with your daily life. Your retirement doesn’t mean that you failed no it just means that you are in the next chapter of your life.